As I was running a zillion errands today, this Chevy parked in a shopping mall lot made me stop in my tracks. My dad had a truck like this one, so it was a momentary blast from the past. The vehicle is as old as I am, which made me also wonder how in the heck it’s still running. This is day 110 of Photo 365. 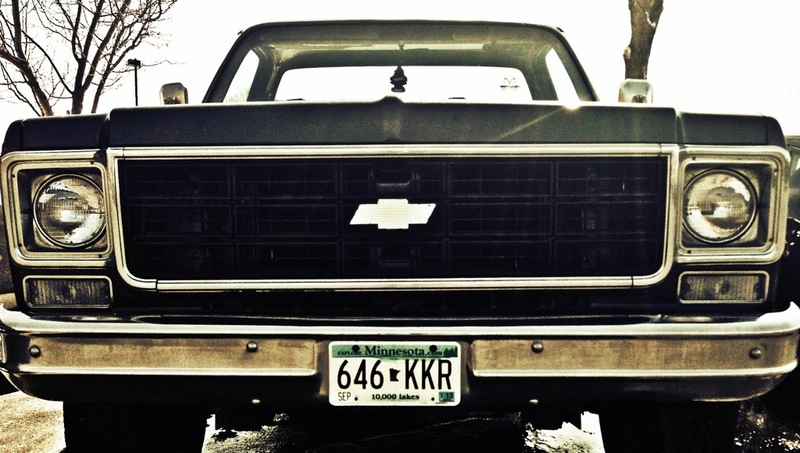 This entry was posted in Photography and tagged Chevy truck, Photo 365. Bookmark the permalink.